This Jac Bread Slicer would be ideal for a small scale Bakery. The Slicer is new and unused. 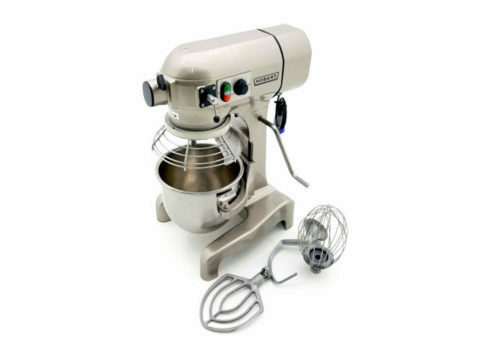 However it is a 2005 model and although it is not the current model, it has never ever been used. 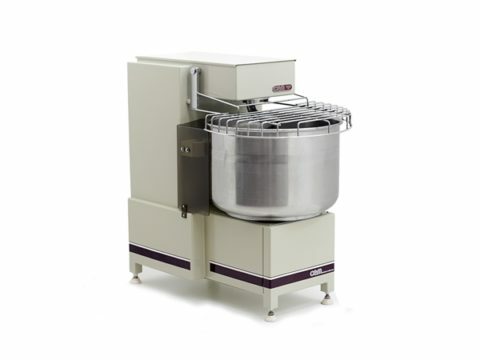 These silent bread slicers will amaze you due to their performance, looks and reliability. The Slicer is also equipped with an ISC feature ( intelligent slicing concept ), which will automatically and continuously adapt the necessary pressure when slicing bread. 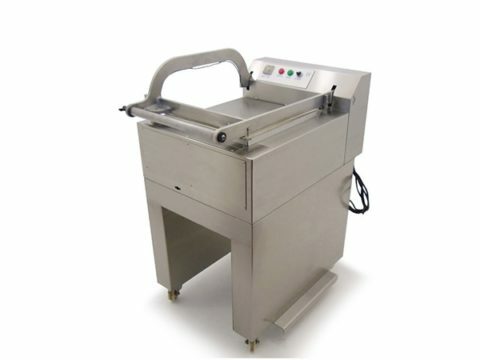 The slicing operation can be carried out, without the operator’s intervention, and irrespective of the bread consistency, whether warm aerated, crusty or compact. 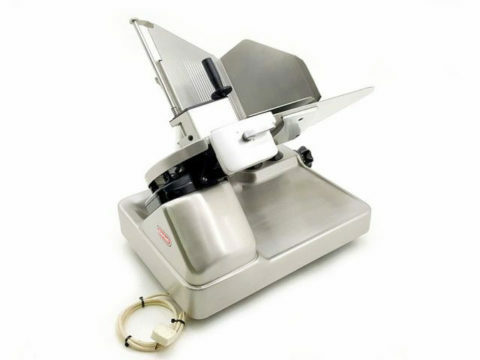 As a result, are able to cut any kind of bread, without having to worry about setting the slicer. 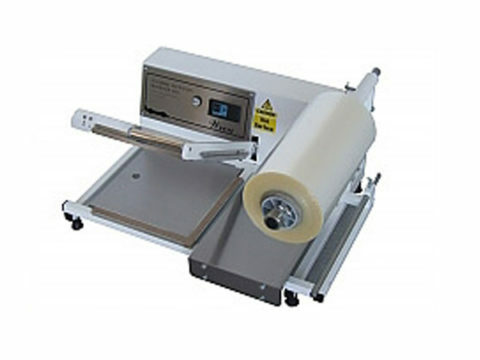 It will cut loaves up to 600mm long with a slice thickness of 14mm. 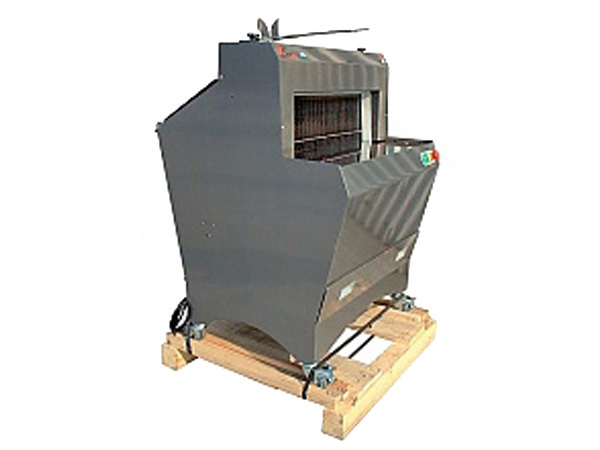 It has a safe bar on the loading side which protects the operator when placing the loaves. 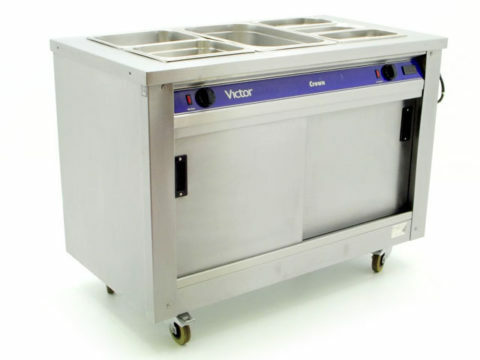 The approx sizes of the slicer are 870mm wide x 1100mm high x 750mm deep. 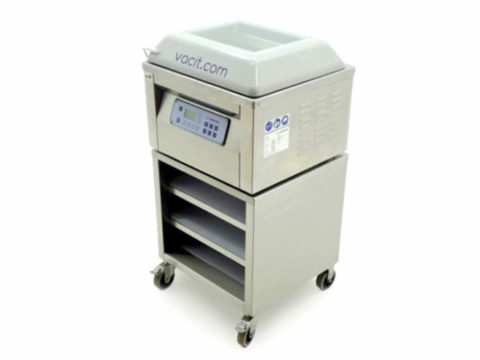 The Slicer also has raised shoe and high-strength casters with brakes for easy relocation and maneuverability when cleaning underneath. 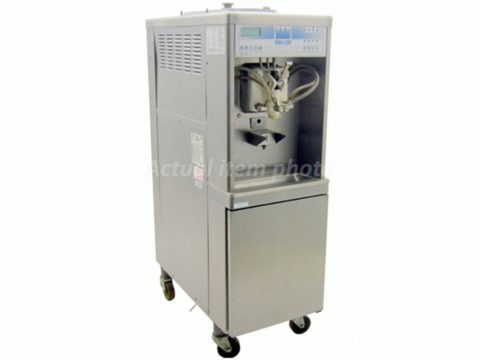 The list price for these machines are over £3500 to buy new. Power output is 230V single phase.